VOSTA LMG is a market leader in dredging technology, product development, engineering and contracting, dedicated to serving the worldwide dredging industry. In addition to designing and building complete dredgers, VOSTA LMG is specialized in developing and manufacturing dredging components. VOSTA LMG’s global presence and 140-year history confirm the company’s position as a dedicated supplier of dredging equipment. Dredgers and engineering & components packages. 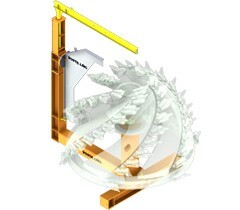 Standard and custom- built dredging components. Our client can count on a full range of services. VOSTA LMG India Pvt. Ltd.
VOSTA LMG / ASL Marine Holdings Ltd. Whether we are designing complete dredgers or developing only a single dredge component, our dredging technology looks beyond the initial cost of the product itself. Our aim is to achieve the lowest possible total cost of ownership for the end user. In other words, our dragheads, dredge pumps and other dredging systems are designed to achieve the lowest cost per cubic meter of dredged material. VOSTA LMG uses the latest high-end engineering software and helps its developers to improve these applications every day. Standard and custom-built trailing suction hopper dredgers (TSHDs), cutter suction dredgers (CSDs), and engineering & components (E&C) packages. Cutter heads, ball joints, automation, dredge pumps, inspection pieces, liners, wear-resistant solutions, swivel bends and other dredging components. Engineering, Production Support, Conversion & Refits, Spareparts, Service Inspections, Maintenance Management as well as Training worldwide. 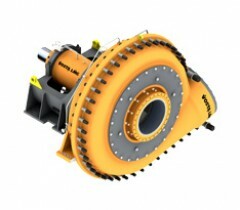 Combi Wear Parts and VOSTA LMG have been close business partners for more than 35 years. The major breakthrough came with the new T-System in 2003, which was the start of the ongoing development of a wide range of products for cutter dredgers. One of the milestones during this period was the development of cutter teeth with a prolonged lifetime: the DURACORE teeth. We manage the complete engineering process for all types of dredgers and all dredging equipment, starting from concept and continued with layout, production drawings, arrangements, as well as diagrams, schematics and isometrics for all piping systems. This process also includes technical and FEM analyses. 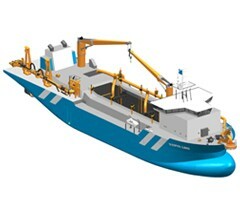 We consider client’s request in designing high-efficiency, high-performance and low-maintenance dredgers. A number of governmental departments form a substantial part of our esteemed clients: ranging from Ministries of Water Resources and Transport to Port Authorities. We help them to manage their waterways. Yards all over the world are our partners and clients. We are supporting them with dredge design, dredge component delivery, building supervision and consult in yard development. Mining companies have different requirements to their operations and equipment compared to dredging companies. We have a large track record in this field of expertise, ranging from potash-, to diamond mining. We started up our company by delivering equipment to dredging contractors in Belgium, The Netherlands and Germany mainly. Nowadays we deliver our knowledge and equipment to both privately and state owned dredging companies worldwide.